To my great regret, one of my coworker quit the company this month. So, I won’t be able to go to Tsukiji and Kachidoki at lunchtime earlier because I’ll have to stay in the office around 11:30 pm. Mototane, Hajime Sengyo-ten, Ikenoya and so on….. Their foods always sell out earlier. That’s why I want to go there as much as possible this month. Ikenoya is one of my favorite lunch spot ! It is not farther than Tsukiji, so I often go there. Especially, oyster fry is so good ! I frequently went to there during every winter. I had wanted to eat grilled salted greater amberjack, so I ordered it. Speaking of greater amberjack, What I know the way of eating is only sashimi. 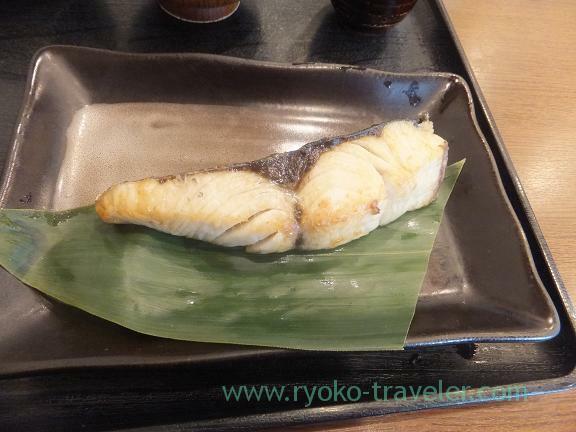 This was the first time to eat heated greater amberjack. 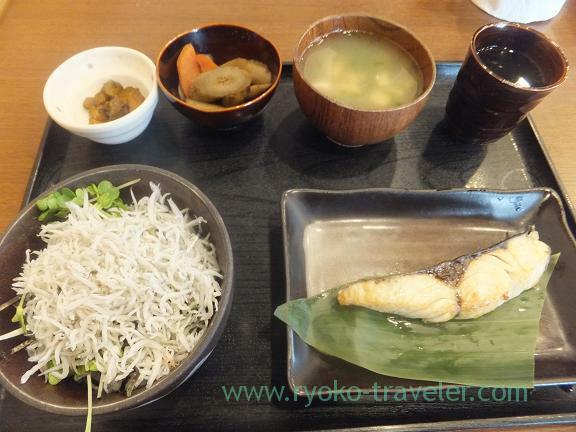 If you order grilled fish or boiled fish at Ikenoya, you can choice one from some side dish (mainly deep fried foods). That day, I could choice from minced cutlet, ham cutlet, stuffed cabbage and dried sardine bowl. I ordered dried sardine bowl. 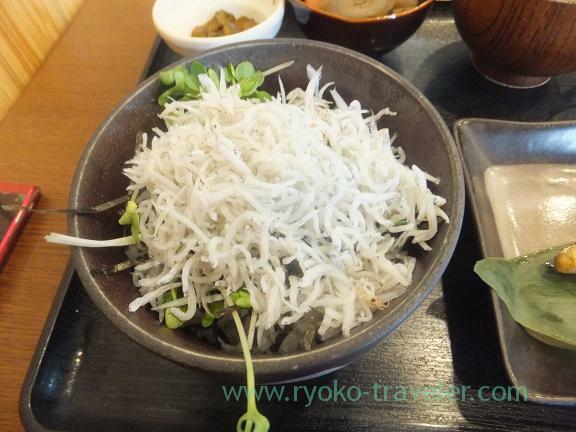 Many dried sardines were on the rice ! But,,, I don’t want to give up taking lunch at Ikenoya ! Oyster fry season will come soon ~~~~~ !